Congratulations on completing Chapter 3 of the Stock Market Course. You have now laid a foundation to mastering the stock market. You have learn the basics of technical analysis and you are ready for greater things to come. In order to determine how much you have absorbed, take the quiz below. 6. What are examples of subjective support? Real support consists of price which can be congestion areas, previous highs and previous lows. Other type of support like the 200 MA and round numbers are subjective support. Resistance consists of price which can be congestion areas, previous highs and previous lows. 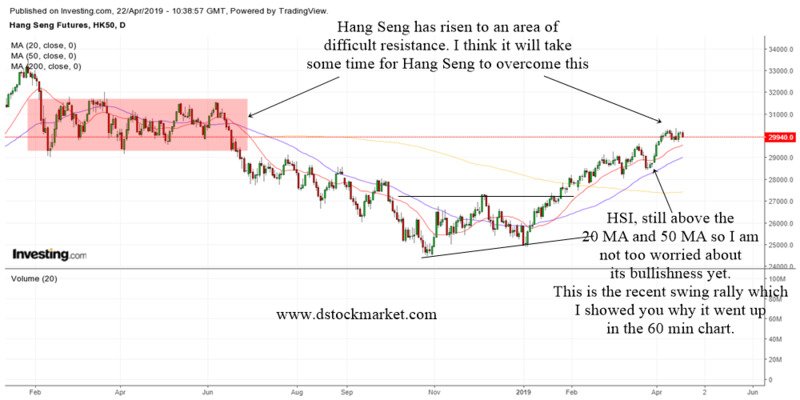 They are the same as support because price can act as support and resistance depending on where the stock price is at the moment. 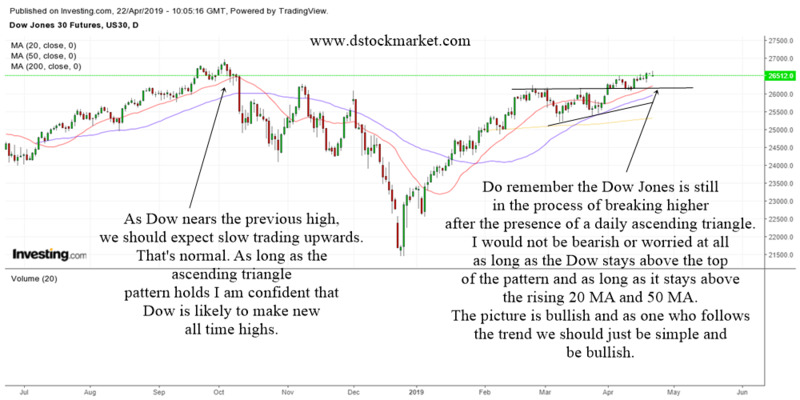 When a stock is in an uptrend, it is very bullish and it can easily overcome previous highs. Once the old high has been conquered, it acts as a good support for the uptrending stock. Major support is usually found in weekly charts where there has been a lot of price action at a particular area. The area has a history of keeping the stock from dropping. That is why it is called a major support. Previous highs and previous lows can act as support. Previous highs once overcome can act as a support. Previous lows are able to keep the stock from falling because they may be buyers waiting to step in there. Subjective support are usually price derivatives which are very popular. Because so many people use them to spot support and resistance areas, they become a self fulfilling prophecy. The real support is made out of price. Sometimes the 200 MA can act as support even though no price support is present because there are so many people who look at it and think that it is support. Thus is becomes a self fulfilling prophecy. An unusual volume often precedes a big price move. We do not know which direction the stock will break into. Just because there is a heavy volume it does not mean people are heavily buying or selling the stock. We need to look at the chart and do our analysis to see whether the volume is a result of accumulation or distribution and make an educated guess. The trendline is very useful to spot an early trend change. If a trendline is broken, it does not mean the trend has ended. It just tells us the stock "might" have a trend change. Many times a stock may move sideways for awhile before resuming higher. Trendlines can also act as subjective support and resistance depending on whether the stock is in an utprend or downtrend. Just because your stock broke the handy uptrendline, it does not mean we should sell the stock. The trend has not ended yet. It just tells us that momentum has slowed down. 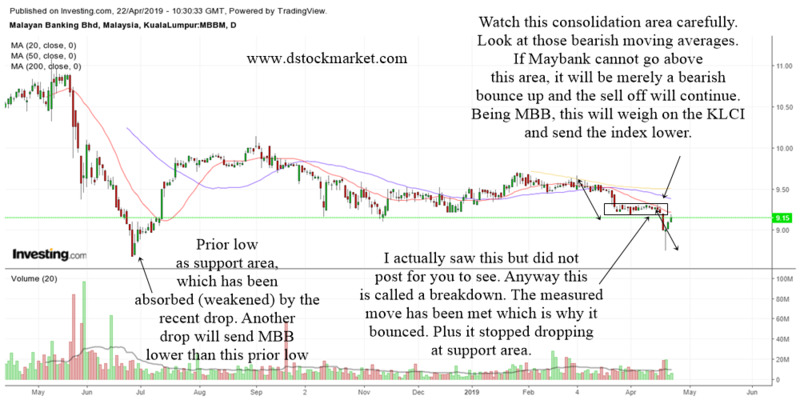 From there we need to monitor the stock carefully to see if a new downtrend emerges. Many stocks that break their uptrendline tend to trade sideways before moving higher. Stocks that gap down usually do so because of bad news or it did not meet Wall Street's expectations. While it does not mean the stock is doomed, there are many times a gap down on unusual volume can point to heavy selling by insiders and institutions. With no support from the smart money and big money, the stock is very likely to crash in the coming months. 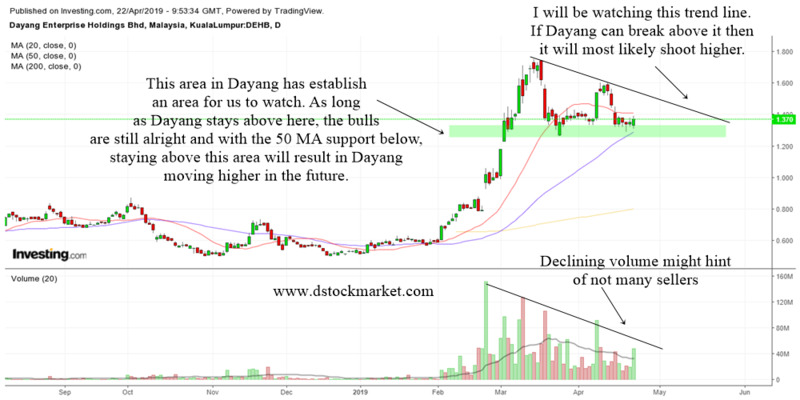 A stock that is trading sideways and not moving much is said to be consolidating or resting. The sideways move should not be choppy and it should be in a tight range. 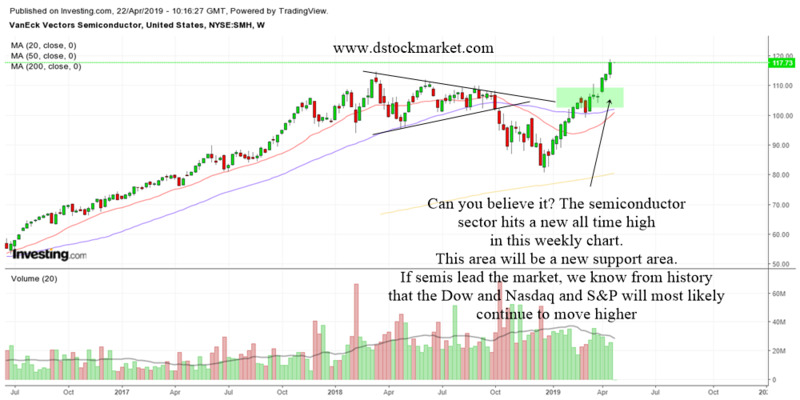 When you see heavy volume coming in during these periods, it tells us that the smart money and big money may be accumulating the stock in anticipation of a big move in the coming months. For it to be classified as an unusual volume, the stock needs to have at least 2X the average volume. Sometimes, you can see the volume 5 to 10 times the average volume. The higher the volume the better. The MACD is a very versatile tool which is why there are so many people using it. However, it is not a very good overbought oversold indicator. You will need to complement it using other indicators such as the stochastics. Stocks tend to bounce off the upper and lower bands. Price action tends to be in the band 90% of the time. When you combine the Bollinger Bands with other overbought oversold indicators such as the stochastics, you can actually create a very reliable trading strategy.